Todays post details the creation of a bust for the other adult character in the film – Yarra the mother. 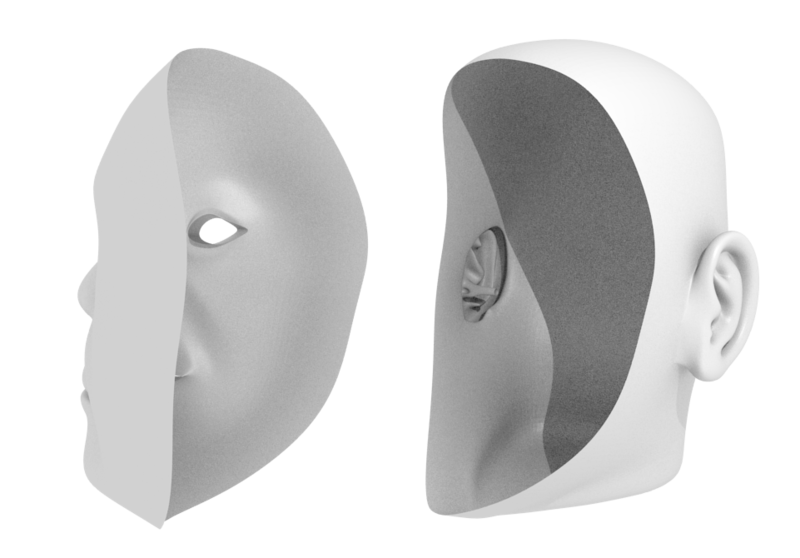 As with the other characters, I begin work by creating 3d geometry over the top of a front and side photo view, using Blender3d. Here is the progress after blocking out the basic geometry.Due to some strange angles in my reference photos, I was not able to follow the reference exactly, as can be seen in the image below. This is quite typical when using photo reference, but is more pronounced in this case. 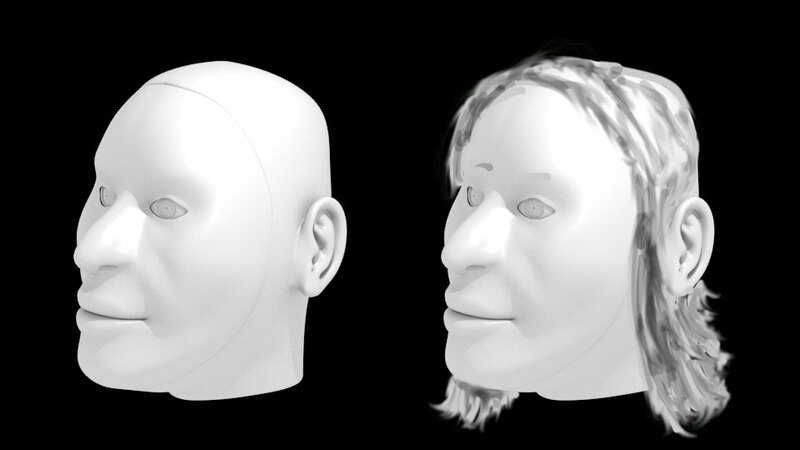 I followed the fantastic head modelling tutorial by by Carlos R. Bisquertt which can be found here. After blocking out the basic shape, I can adjust the features of the head using Blenders “Sculpt mode” which lets me easily push and pull the digital clay around. 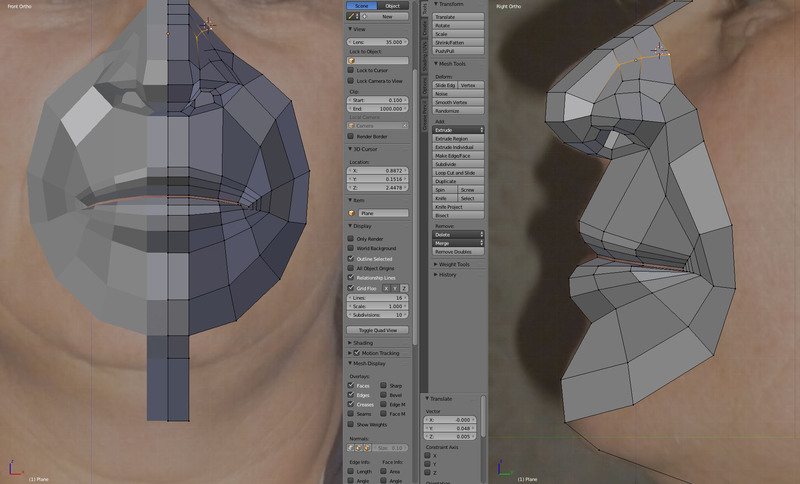 I found that I needed to increase the size of the upper lip and give the cheeks more roundness – a process that took just 2 minutes using sculpt mode! 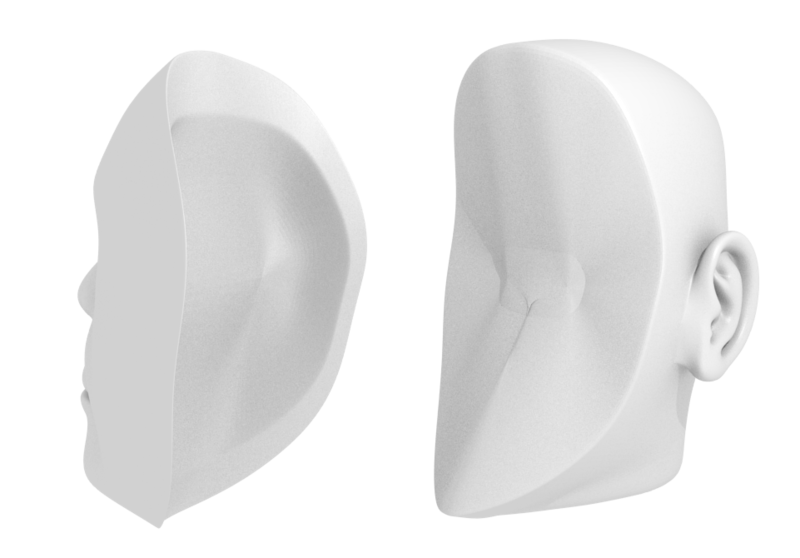 I only modelled a single ear sculpt for this project, and I attach this ear to each character as I design them (modelling ears is a pain). 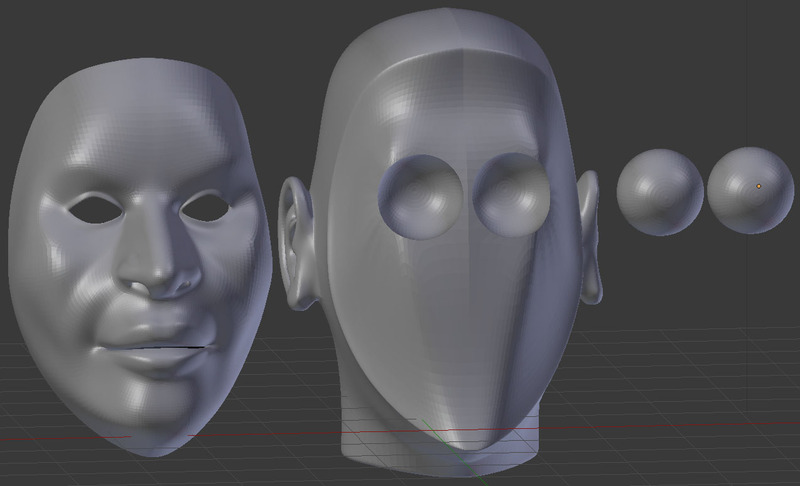 I discovered Blender has a “Bridge Edge Loops” command which lets you select an edge loop on the face and an edge loop on the head and bridge geometry between them, very useful! More info on this process here. 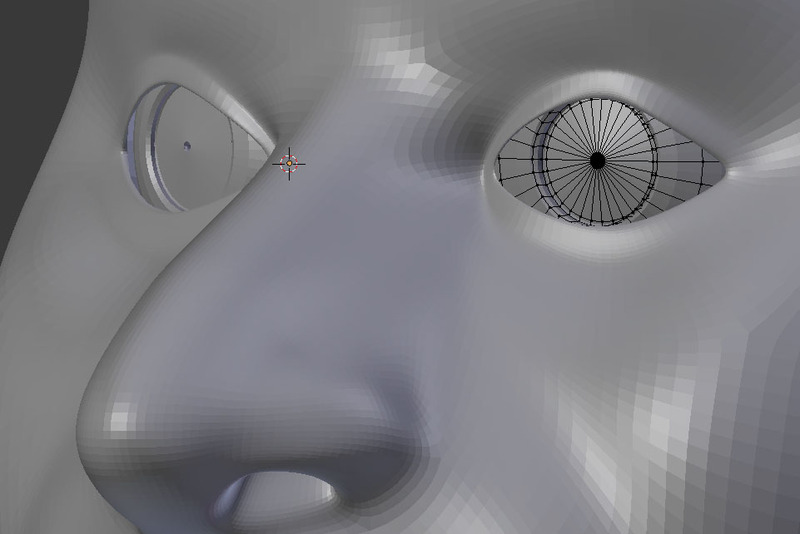 To make painting the eyes easier I pushed an indent into the eye sphere where the outline of the iris will be. I also punched a hole in the middle of the pupil. This is so that the eye can be positioned using a pin inserted into the pupil (ouch!). Any strangeness from this that is evident when the eyes are photographed can be fixed in post. I scribbled some hair over a model render in Photoshop to get a rough idea of how the model was progressing. It is not as feminine as I would have hoped but I still have time to make further adjustments with the sculpt tool before I print the model. I also need to notch out holes to put magnets in for the removable face plates, and create prints of the different expressions I need. In a future post I will discuss the print itself, painting, and hair creation for the bust. Most helpful indeed. I find your approach to the challenges of this project very innovative; I had no idea of the intricacies involved.